Muck raking is defined as searching for and exposing misconduct in public life. So, a muck raker is one who inquires into and publishes scandal and allegations of corruption among political and business leaders. The term comes from John Bunyan and his book Pilgrim’s Progress. Pilgrim’s Progress is a Christian allegory published in February 1678. The book is one of the most significant works of religious English literature. It has been translated into more than 200 languages and has never been out of print. The English text has 108,260 words and is divided into two parts. Each part is a continuous narrative with no chapter divisions. The first part was completed in 1677 and entered into the stationers' register on December 22, 1677. It was “licensed” on February 18, 1678, which is considered the date of first publication. 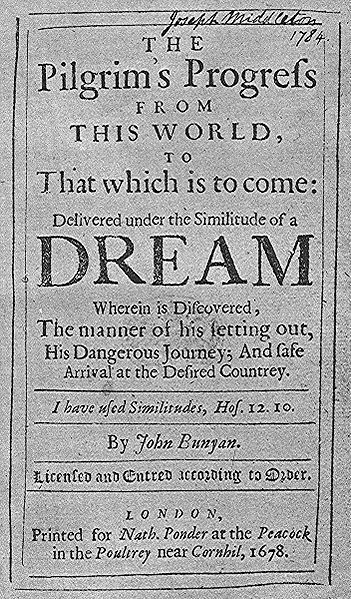 After the first edition, an expanded edition, with additions written after Bunyan was freed, appeared in 1679. (Bunyan was jailed for religious violations at least twice with 12 years being the longest sentence.) The second part appeared in 1684. 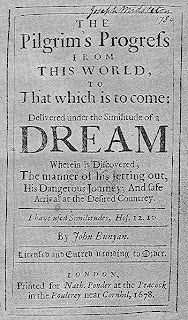 There were eleven editions of the first part in John Bunyan's lifetime. They were published in successive years from 1678 to 1685 and in 1688. There were two editions of the second part, published in 1684 and 1686. Anyway, according to Alexander M. Witherspoon, professor of English at Yale University, the two parts of Pilgrim's Progress in reality constitute a whole, and the whole is, without doubt, the most influential religious book ever written in the English language. So now you know. Back to muck raking! Bunyan describes the man with the muck rake (manure rake) as the man who could look no way but downward, with the muck-rake in his hand; who was offered a celestial crown for his muck-rake, and who would neither look up nor regard the crown he was offered, but continued to rake himself the filth off the floor. So, in Bunyan’s words, a muck raker cannot look up to heaven because he is so obsessed with the muck of worldly profit. But, the term muck raking was not popular until 1906 when President Theodore Roosevelt gave a speech dedicating the House of Representatives office building. President Roosevelt said the man with the muck rake typifies the man who in this life consistently refuses to see aught that is lofty, and fixes his eyes with solemn intentness only on that which is vile and debasing. As a result of President Roosevelt’s speech, muck rakers came to refer to reform-minded journalists who wrote largely for popular magazines. President Theodore Roosevelt agreed with the accusations of muck rakers, but questioned their methods. Some of the early muckrakers were Ida Tarbell, Lincoln Steffens, and Upton Sinclair. So, I tell you all about muck raking to tell you this. If your life is filled with muck, keep your head up. Do not focus on “the filth of the floor.” This year, I wish us all a muck-free holiday season!